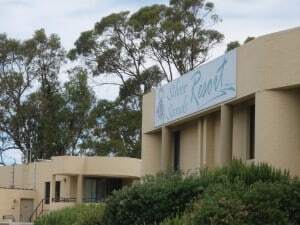 Silver Sands Resort is located in Mandurah, south of Perth. With the new Forrest Hwy, you can get to Mandurah in under an hour, and the drive is actually quite enjoyable. Mandurah was traditionally a small tourist town, but it has grown considerably and now has every amenity that you need! Silver Sands Resort is located only a few minutes’ walk from town, the beach and a variety of shops. It is a four star resort that has been running for a long time now, and as such has built a popular reputation for being a great holiday destination! It is often full of guests, which says it is a good place to go for a break. Where is Silver Sands Resort? 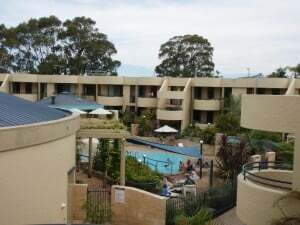 The resort can be found on Mandurah Terrace, near Adonis Road. To get there, make use of the new Forrest Hwy, which joins onto the end of Kwinana Freeway. Take the exit from the Forrest Hwy onto Lakes Road. This avoids all of the built up area north of Mandurah as well as the slower zoned areas which are easy to misread! Lakes road joins onto Gordon Road. Follow it to the end, and then turn left onto Mandurah Terrace. 600 metres along the road on the right you will see a big resort, which is Silver Sands Resort! Parking is at the north eastern end (the first part of the resort you see following Mandurah Terrace). What does Silver Sands Resort have to offer? Silver Sands is designed in a manner that will allow you to completely de-stress. It is fully sealed off from the public with fences and gates that only the visitors and owners have keys to. This means that if you have little kids that want to run around, they can only go as far as the fences. There are two pools, one indoor and one outdoor. They both have a range of depths designed for various aged people. 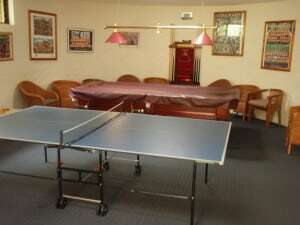 There are several spas, a sauna, mini golf course, tennis, squash, pool and table tennis, darts, movie hire, barbeques, play ground and children and adult games rooms. There is more than enough to keep you occupied for several weeks, whilst unwinding and enjoying a swim in the pool! What are the prices like for accommodation at Silver Sands? The prices to stay at Silver Sands Resort start off at $150 a night and go up based on the size of the unit and the date that you choose to stay. Public holidays and weekends are more expensive, like most accommodation. Parking costs for extra cars (around $70 a week) and movie hire needs to be paid too. One car is included in the standard accommodation fees. 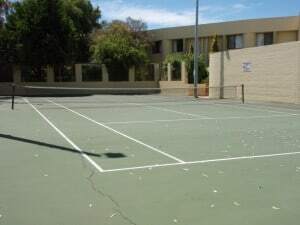 Other than that, mini golf, the games rooms and the court sports are free. You do need to place a deposit on arrival however, in case any of the equipment gets damaged or goes missing. The best way to stay cheaply at Silver Sands Resort is to find someone who has a unit on timeshare, and rent it off them. Often you will find them in the newspaper, and you can save a considerable amount of money by doing it this way. Anyone can apply for timeshare in a unit, and many are done up to be more luxurious by the timeshare owners. People are willing to pay a premium to ensure that their kids stay safe. With the whole complex fenced and gated off, you can be sure that your kids can’t go too far! There are often quite a number of families at Silver Sands, which means that the kids can have a lot of fun together. 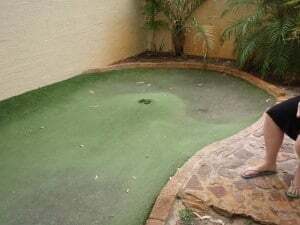 You are allowed to have visitors into Silver Sands Resort, so inviting your friends down for a swim and a few games of mini golf is another great advantage. The pools are easy to swim in, and set out for different swimming abilities. There is usually always someone around the pool, which makes it safe for anyone swimming. What is nearby to Silver Sands? Silver Sands Resort is right next door to a Restaurant, Petrol Station and Tavern. There are a huge number of shops further along the road as well, which are easily within walking distance. The beach is under 5 minutes walk from the resort, and it has some good swimming and fishing. There are several jetties, golf courses, cinemas and other amenities which make a holiday more fun. 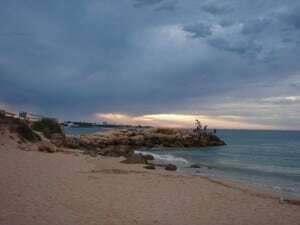 Mandurah caters for a huge number of people, and as a result has everything that you need. The actual city centre is about 3 kilometres away, but you may not need to go there anyway. Silver Sands is a great place to take the family for a holiday. It’s not too far away from the city, which makes it the perfect getaway. There are over 50 units which are available, but they fill up quickly, especially in peak season. For more information and bookings, visit the Silver Sands Resort website.